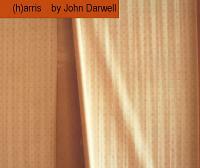 Darwell, John (2004) (h)arris. Democratic Books, Cologne, Germany. Harris = Island off the north west coast of Scotland. Part of The Western Isles group. 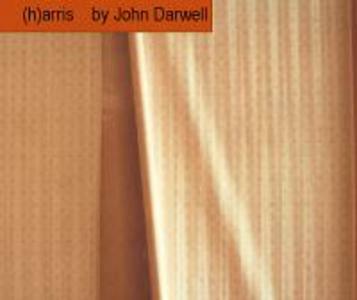 The twenty one images that make up (h)arris reflect on the nature of place and memory and were produced during the summer of 2004 in the Western Isles of Scotland. The images centre on the first manned lighthouse within the British Isles, now abandoned and gradually being eroded by the very elements it was originally built to warn against. The contents of the building, though suffering from neglect and decay, remain largely as when the former inhabitants left the site (presumably due to the difficulty of getting to this location, involving a three mile trek over peat bog, it doesn’t invite casual acts of passing vandalism!). Within the décor that made up the interior it was fascinating to discover numerous paintings referencing the sea, when in reality it could be viewed for real from any window in the building. Perhaps the paintings represent a yearning to escape the confines of the location, to set sail to new and exotic lands, leaving behind the darkness and isolation that would’ve been so much a part of life in this lonely place? (The longest single inhabitant lived there alone for 37 years!). The images carry traces of the previous inhabitants lives and as such reflect on the nature of what it takes to regard such a forbidding and isolated location as ‘home’. Interspersed with the lighthouse images are images of my son, accompanying me for the first time on a particular photographic ‘journey’, who symbolises the, potentially, precarious twin acts of exploration and growth.